Visscher is a leading complex trait geneticist. He has contributed to quantitative and population genetic theory, with applications in medicine, evolutionary biology and agriculture. He has developed bioinformatics algorithms for gene mapping, and has shown how genetic markers can be used to obtain unbiased estimates of heritability. A computer package to apply his methods is in widespread use. He has developed new methods to infer effective population size from marker data and to estimate population divergence time from linkage disequilibrium. 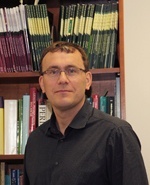 He has developed statistical methods for genetic risk prediction. Visscher is Chair of the 2011 Gordon Conference in Quantitative Genetics and Genomics.